Soak the mushroom in water for 10 minutes to get its dirt removed. rinse well and fine chop it into very tiny pieces. Also fine chop onions. Heat oil in tava. Add curry leaves. When it is roasted add onions. Stir well till onion splits and add mushroom. Add salt, chilli powder and turmeric powder. Mix well and close the lid. Once the mushroom sweats open the lid, stir again and keep on stirring with lid open till they get roasted and there is no water. The stuff is now ready to keep in dosa. Heat the dosa pan. When the pan is hot enough, pour the dosa batter and spread it in circular motion till it is a thin layer. 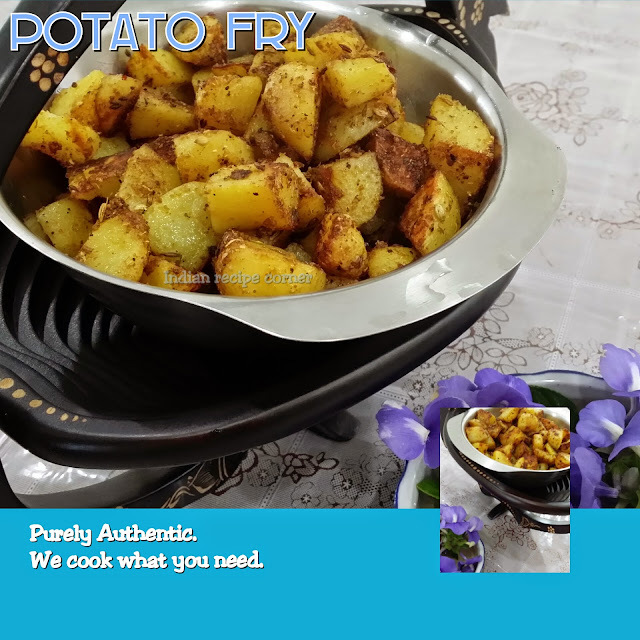 Apply gingelly oil and place the stuff in the center as a diagonal to the dosa circle and close the lid of dosa pan till cooked. Open and remove the dosa by carefully rolling over the stuff. 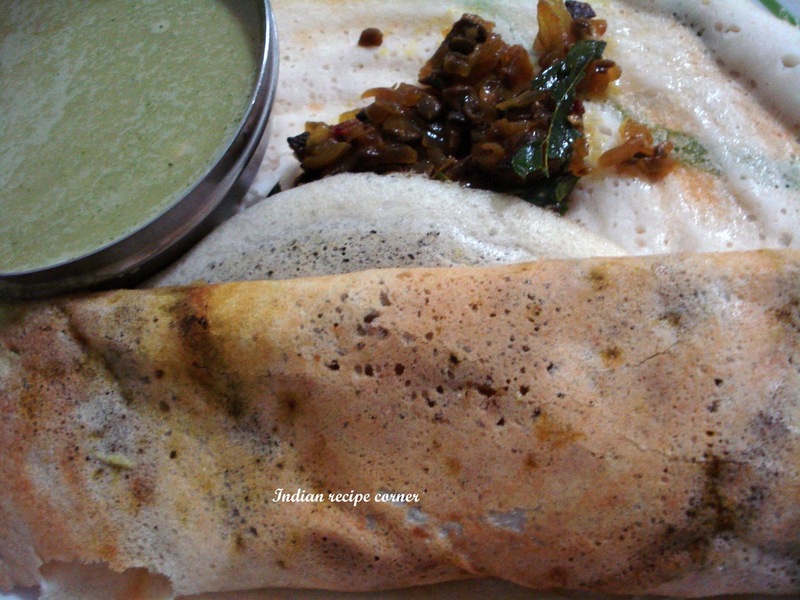 This dosa goes very well with corriander chutney or green all purpose chutney. Sometimes dosa refuses to come out of its pan. For crispy and easy removal these tips can aid you. When dosa pan is hot enough, add a spoon of gingelly oil and a spoon of salt. spread it all over the pan. Allow for a second and wipe off and then pour batter. When dosa pan is hot enough scrub the pan with half onion well and then pour batter. When dosa pan is hot enough scrub the pan with half potato well and then pour batter. When dosa pan is hot enough add a spoon of gingelly oil and add spit ladies finger and fry for 1-2 minutes for more crispy dosa. When dosa pan is hot enough scrub it with a ball of tamarind. And gingelly oil is always preferred by me for dosa for its flavour and aroma. Dosa looks yummy. Very unique stuffing. Interesting masala dosa, mushroom filling sounds yummy..
nice change i think sometimesif we do variation we relish more. delicious. very rare and healthy stiffing love mushrooms....delicious! That's a great idea..I adore mushrooms.. will love to try it! my Dh's fav!!! looks so perfect and yummy!! that is a good idea for a different dosa filling... sounds yummy! i guess you changed the template.. nice one! mushrooms with dosa is interesting! I've never had mushrooms in a dosa. How delicious. Dosa with mushrooms sounds very interesting!! Yummy dosa and regards. Indian Breakfast Recipes .